I’ve been beading for once in a while. It has already been my hobby for over 5 years. When I have nothing else to do, all i do is start beading. I got a huge collection already of beaded jewelries which i created myself. Some of them we’re sold. Some of them we’re kept as collections. So what really is beading? Some of you might be asking how it is done, what are the steps? It’s just quiet simple, from the rootword itself bead, you’ll figure it out immediately that it’s all about beads. 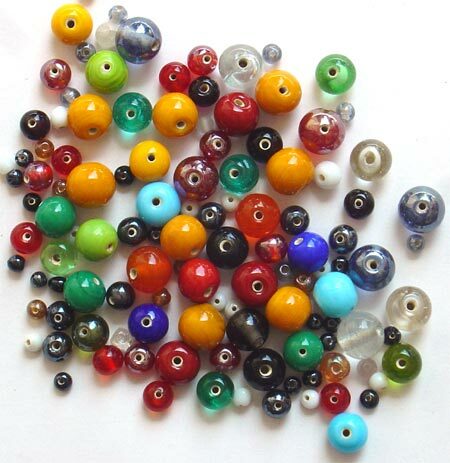 Beads are small decorative objects in various shapes, size, colors, with a solid or hollow center. Beading on the other hand, is the art of attaching these beads to one another. One could use a needle and a string, thread, or could be any flexible wire. With beading, you could do a lot of stuffs, you could go research for some patterns and designs available on the internet. Or if you’d like to make your own patterns and designs, then you could make use of a bead pattern software. There are a lot of softwares out there available for you to use. Some of which offers free trial for you to test out which tool is the best for your needs. You wouldn’t expect what you could do with those small beads when wound up into an amazing pattern.